The chakras are traditionally represented through symbols. The functions and nature are described not through words but through symbolic images. This is the traditional approach of all esoteric traditions, for the symbol is richer in meaning than the word. Each symbol and its wide range of associations needs to be offered to the deeper levels of the mind through meditation. In fact the fullness of the symbolic code cannot be understood except through the process of meditation. The unbroken teaching lineage preserved through Laya yoga offers the age0old symbols to the contemporary world. Each chakra is described primarily as a lotus. This flower is rooted in the mud, rises through the waters and blooms upon the surface. Here is an underlying symbolism, which represents the journey from the earth to spirit. Each lotus has a different number of petals, which reveals the complexity of the chakra at both physical and psychic levels corresponding to the number of vortices within the chakra. These petals are also coloured in accordance with symbolic code. Animal symbols are attributed to the first five chakras. These express the nature of the chakra. 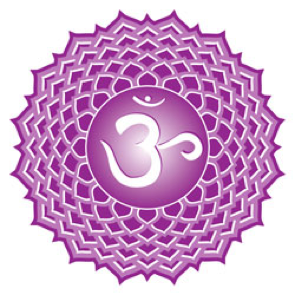 Each of the first five chakras is also attributed to an elemental symbol. These symbols need to be integrated in meditation if we are to understand their significance. The absence of animal and elemental symbols at the sixth and seventh chakras also expresses a function of the higher centres. The chakras, with the exception of the crown centre, are attributed a mantra, a sounded meditation which has the power to awaken the chakra through its own vibration. The mantra is accompanied by a yantra, a geometric form which again expresses the essential nature of the chakra. This too needs to be understood through the internal process of meditation. The centres are also attributed to carious deities. This sacred personification reminds us of the living nature of the centres. We may approach each centre through the aegis of its presiding deity. Let us now approach the blueprint of our being with due respect and understanding. Symbolism is an instrument of knowledge and the most ancient and fundamental method of expression, one which reveals aspects of reality which escape other modes of expression. It is not difficult to become attuned to your own energy field. You might like to try the following exercise. Most people are surprised to discover that they can actually feel an emanation at the very first attempt. As with all things, practice makes perfect. The more often you do this exercise, the more success you will have. Sit with your palms facing but not touching one another. Slowly move the palms away from each other. Bring the palms back close together. Establish a gentle rhythm, moving together and apart in a bouncing motion. It usually happens that people quite suddenly and unexpectedly experience a feeling best described as a magnetic force. This sensation cannot be confused with general body heat or warmth. It is such a specific sensation. Close your eyes. Become aware of your breathing. On the outbreath visualise white light pouring out from the centre of the palms in a steady stream. People are both amazed and delighted when they lock onto it. When you experience this, you may begin to pull the hands further apart. Eventually the contact will break, and you may start again. Palm to palm contact is easiest to work with first. When you are comfortable with this you can make fingertip/fingertip contact, or use the fingertips of one hand against the palm of the other. The process of sensitising the hands to the energy field will prepare you for making contact with your own chakra energy.